I was pleased with Vinyl Theatre’s performance tonight and happy to find their content seems to have improved. Sometimes possessing a generic quality, they have since managed to develop a certain maturity and prove to us that they have drastic potential. MisterWives on the other hand I was not as pleased with. Overall they performed well but I’m just not a huge fan of their records. It was obvious that their fans enjoyed the performance though and that’s what truly matters. There’s nothing like drowning out the world with Twenty One Pilots using both headphones but it simply doesn’t compare to sharing the live show experience with a couple thousand other people. 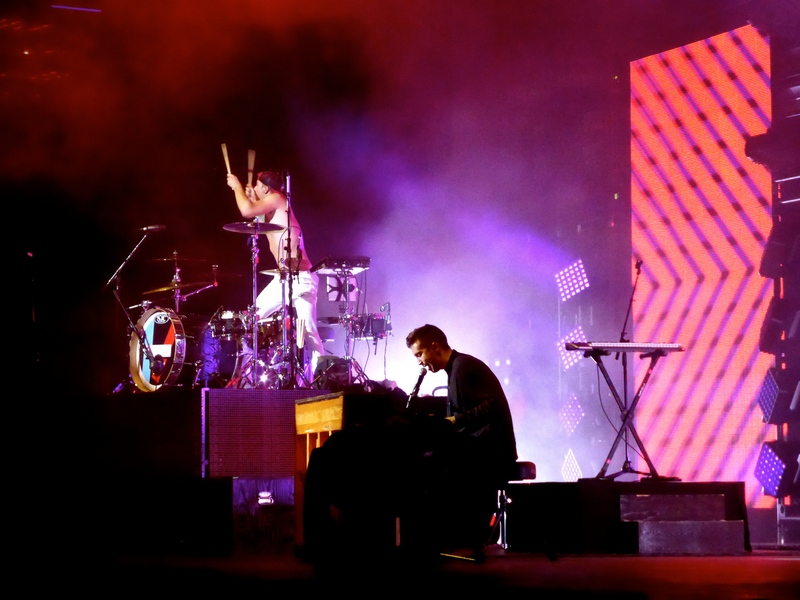 They definitely embody their own genre and have come to classify it as “schizoid-pop.” The duo consists of Josh Dun and Tyler Joseph of Columbus, Ohio. Their Cleveland shows always attract thousands of passionate Ohioans of every age and style you can think of. Coming from scant crowds at regional shows, Tyler and Josh’s pride is essentially palpable when the crowd screams every line of the show. 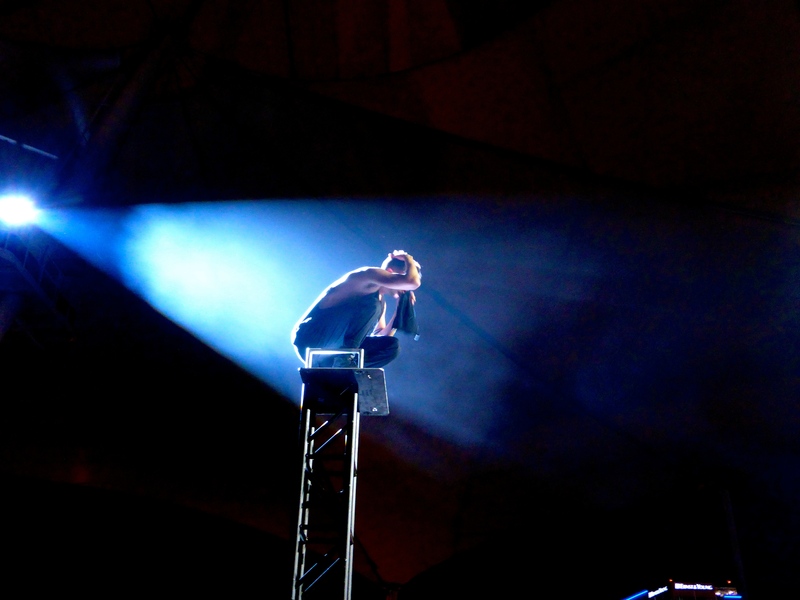 Of course tonight’s set included many costume changes, backflips, piano parkour, crowd surfing and tons of energy. Danielle sat on my shoulders for a few songs to get some nice pictures and a better view. “Migraine” and “Car Radio” are arguably the most popular live songs but they also performed a traditional mashup/medley of other artists. 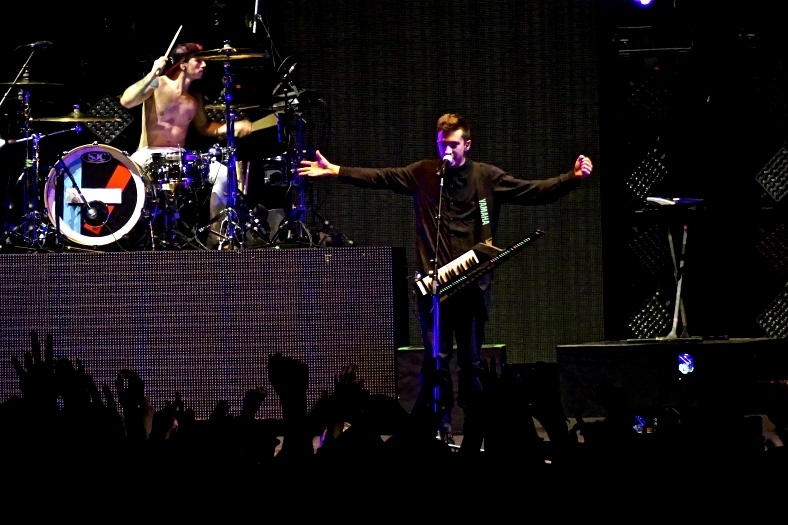 This summer Tyler and Josh performed also in Cleveland at the Alternative Press Music Awards. You should should check out Twenty One Pilots because of their inspiring modern take on the pop genre, their cathartic lyrics and of course their frenzied performances. This entry was posted in Concert Reviews, Uncategorized and tagged 21p, apmas, cleveland, josh dun, MisterWives, Nautica, twenty one pilots, tyler joseph, Vinyl Theatre. Bookmark the permalink.